"I tingle because I have been praying for her since it happened, I don't know the family personally but it's just wonderful,” said Larry Leff, a member of St. Peter Catholic Church in Cameron where Jayme’s religious education classes and her parents’ funeral were held. Parishioners at St. Joseph Church in Barron, along with others at St. Peter Catholic Church, reportedly prayed unceasingly for Closs' return home after she went missing on Oct. 15 and her parents were found shot dead in the family home, NBC News reported. As these churches prayed and authorities searched for the teenager, she suddenly appeared from the woods near Gordon, Wisconsin, and asked a woman walking her dog for help. The teenager said she had been held captive in a nearby cabin but finally escaped. Jake T. Patterson, 21, the man accused of holding Closs against her will, was expected to be charged with kidnapping and two counts of first-degree intentional homicide on Monday. "I think all of our prayers is what brought her home,” St. Peter member Geri Schoenecker told NBC 15. 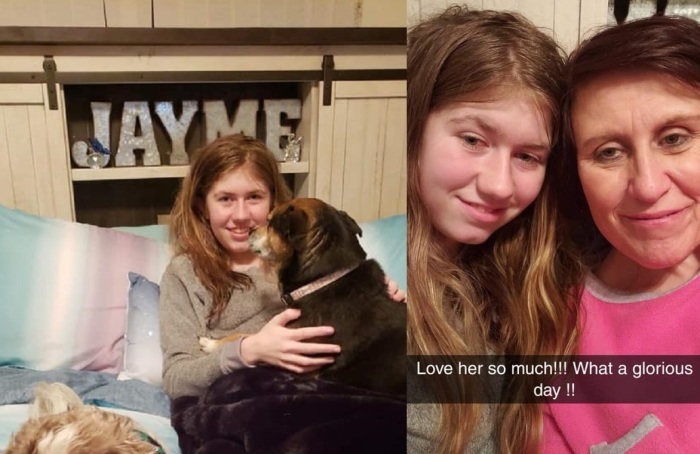 Closs was released from a Duluth hospital and returned to the home of her aunt, Jennifer Smith, who has shared photos of the teenager on a Facebook page called “Healing for Jayme Closs.” Smith reportedly attends St. Joseph Church but she and her family were not present on Sunday. Many parishioners at both churches readily pointed out how they saw the hand of God in Closs' return. Juan Valadez, who worked with Closs' father, James Closs, at Jennie-O Turkey Store for at least a decade, told the Tribune that the attack on the Closs family had been devastating for those who knew them and expressed that it was a “great feeling” to have the teen back. “I’ve asked people, ‘Do you believe in miracles?’ They say ‘yes,’ and I say, ‘Well, we just had one today,’” said Valadez, who sat at the back of St. Joseph with his wife and daughter on Sunday. Closs' cousin, Lindsey Smith, whose mother is currently caring for her, as well as two of her aunts, Sue Allard and Lynn Closs, told “CBS This Morning” that even though they never gave up hope that she would be found, they are still in shock like much of the country. "I still feel a little in shock. I just want to go over there, every day to my mom's house and see Jayme. It's amazing to see her home," Smith said. Smith explained that the attack on Closs' parents as well as her kidnapping had broken her mother’s heart. Now that the girl has been found, however, it has been a source of hope for her mother. “My mom, her heart has been just broken since Jayme was gone," Smith said. "And now I told her, I said, 'I get my mom back. You are happy again. You are. It's just the best thing I've ever seen.'" The family is now surrounding the teenager with as much love as they can to ensure she is safe. They recorded her parents’ funeral for her and she still hasn’t grieved their deaths yet. "Making sure she's safe. She feels safe. She's doing pretty well. I spent the afternoon there yesterday. We had her smiling, laughing, going through things in her room," Allard told CBS. The family told NBC that they have not yet talked about the time she was missing but will do so whenever she is ready. “When she's ready to talk she will. But we haven't asked her anything yet,” Allard said. For the last two nights, they said, Closs has slept in bed with her aunt, Jennifer, her dog and Jennifer’s dog, Allard said. “My sister meant the world to me and I wasn't giving up. We were going to find her daughter because her daughter meant the world to her mom and dad,” Allard added.